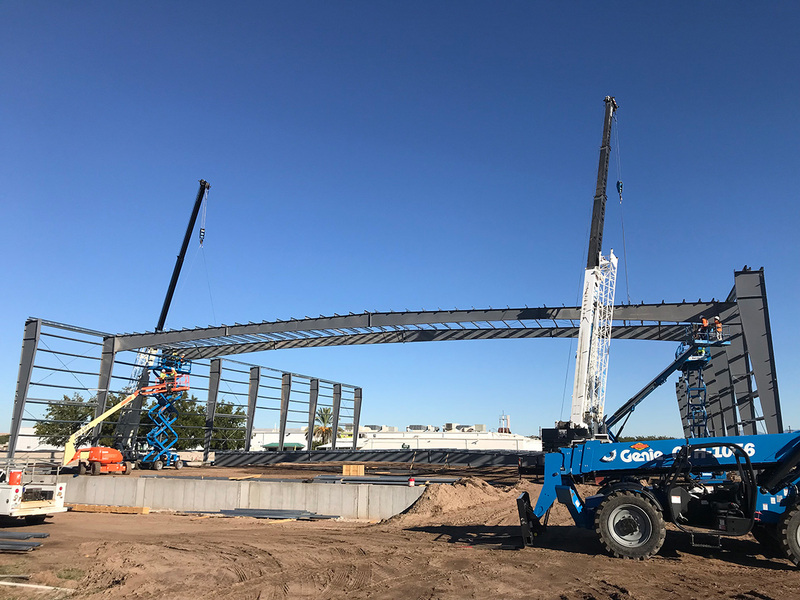 SAHUARITA, Ariz. – Green Valley Pecan Company’s construction project for a new refrigerated warehouse is one step closer to being completed. BFL Construction Company, out of Tucson, has finished the concrete work for the stem walls and columns and installed the structural steel. Multiple cranes were on property to set the exterior columns and rafters since the building will be free span, meaning there will be no interior columns. Work will now transition to constructing the flooring system. Green Valley Pecan Company broke ground on the construction of the refrigerated warehouse in July of this year. 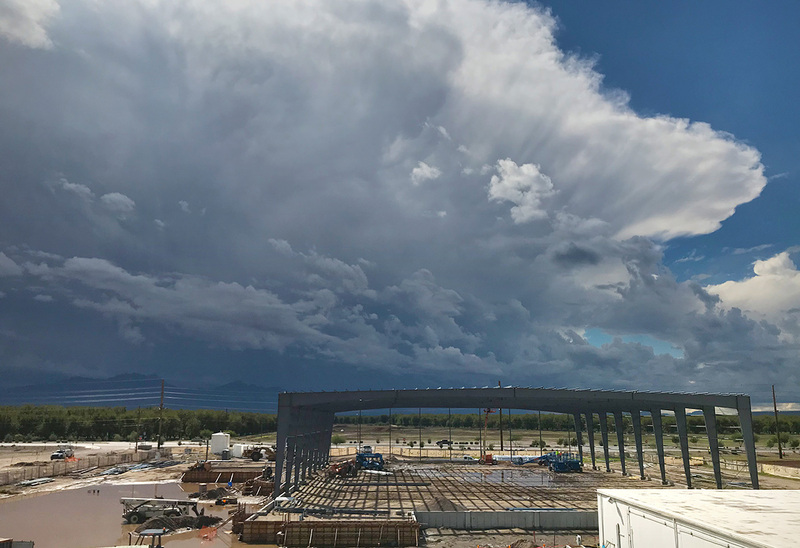 This new facility, located near the current processing plant and the Pecan Store, will consist of a 40,000 square foot refrigerated warehouse, with the capability to also be used as a freezer. Construction is on schedule, with an expected completion date in January. The Pecan Store continues to remain open and hold regular store hours during all construction activity. Detour signs are currently on the property to direct customers to its temporary parking lot. For more information about the refrigerated warehouse project, please visit GreenValleyPecan.com, or follow Green Valley Pecan Company on Facebook (/GreenValleyPecanCompany) and Twitter (@PecanStore) for updates.